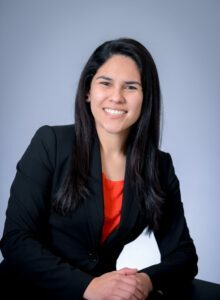 Yamilet Cendejas is the Foundation Coordinator of Indian River Community Foundation in Vero Beach, Florida. Previously, Ms. Cendejas’ experience includes fine dining server at Oak Harbor Country Club and customer service representative in her family’s business, Yami’s Ice Cream Shop. Ms. Cendejas holds a bachelor’s degree in Business Administration from Indian River State College. She is a member of the international honor society Sigma Beta Delta.